Our school’s strategic plan focuses on our ability to help the children put their faith into action. Our faith is alive when it is backed up with good works, so we encourage our community to reach out, to raise awareness and participate in numerous social justice activities in the parish and wider communities (local, domestic and international). Some examples of this from the last few years are highlighted below. Some are ongoing where as others may have been single events that have inspired new actions. In particular, our Mini-Vinnies group work tirelessly and enthusiastically to collect many boxes of new winter clothes for the winter appeal; help coordinate and raise awareness of the Project Compassion Appeal, and collect food and packed Christmas hampers for the disadvantaged in our Erina/Terrigal region each year. The children work closely with our parish Vinnies chapter and attend awareness raising excursions – as well collections at special events. 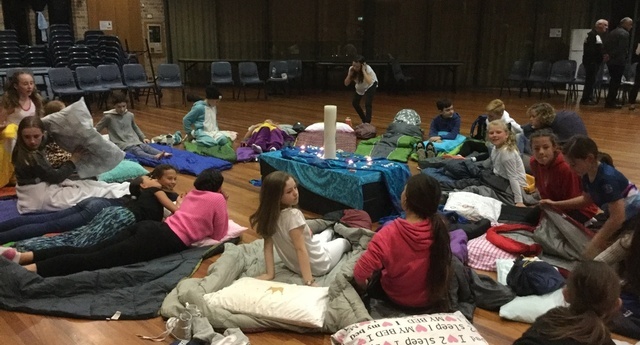 In July 2017 we launched the first Mini-Vinnies Sleepout in our Parish Hall so the children could in some way experience the life of the homeless in our community. Each year we seek to support the Sisters of Mercy in Candela, Peru by awareness raising and fundraising to support this beautiful, third world community. Our children purchase the beautifully handmade craftworks that come directly from the ladies at Candela and these prove both popular and of high quality. As a faith-based and “KidsMatter“ school student wellbeing permeates all school-life activities. Kidsmatter stems from Diocesan Pastoral Care & Discipline policy (underpinned by the Marist Restorative Justice process). Ultimately this indirectly shows to students that well being and “just” conflict resolution are essential to lifelong, Christian living. Our Peer Support Program gives the children even more tools for their ethical and spiritual tool-kits, to apply to the wider world at all possible times. We have structured Buddy programs and initiatives in place between the preschoolers at our Early Learning Centre onsite as well as between our new Kinder children and the Year 6 students, which we start when the soon to be school leaders are in Year 5. We encourage assistance with day to day school-church parish activities, where reasonable eg. setting up chairs in our function hall with teachers or volunteer parents. Parent Engagement makes a huge difference to a child’s learning and wellbeing (including in the spiritual sense), so we invite you to bring them along when you are volunteering for the Parish school or Parish church. If you have not already, we encourage getting involved even just for one hour of your time, as an opportunity to offer up your God given gifts and talents for your faith community (as our faith suggests we should). This way you can enjoy firsthand, and personally benefit from, the famous “community spirit” of OLSOS. You won’t be disappointed, and the children might even help more at home if the old adage “Actions speak louder than words!” is true. This is but one example where we link to our parish for weekend Masses. Our children are well received by the broader parish congregation and their celebrations of the weekly Eucharist as part of our wider parish community are a vital part of our parish identity. Other activities we have participated in previous years include sponsoring a child overseas; organised food and clothing drives for St Vincent de Paul; fundraising for Caritas Australia, Catholic Mission and other agencies. 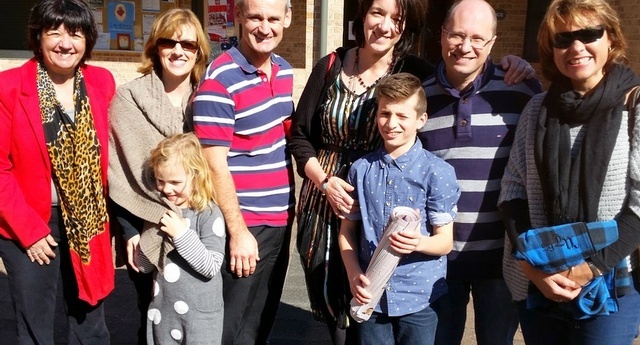 These projects are often undertaken in conjunction with some of our school parents eg. when we sent over 300 Christmas boxes overseas as part of the Samaritan’s Purse International Relief. 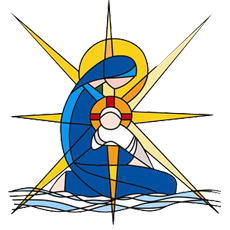 We are always looking at new opportunities and ways to live out our faith and help the children bear witness to this so please do not hesitate to contact the school Religious Education Coordinator, if you have any ideas or suggestions, you can work on with us.